Well, after ‘Selfie Maine Leli Aaj’, Dhinchak Pooja’s latest song ‘Dilon Ka Shooter’ has created lots of buzz. 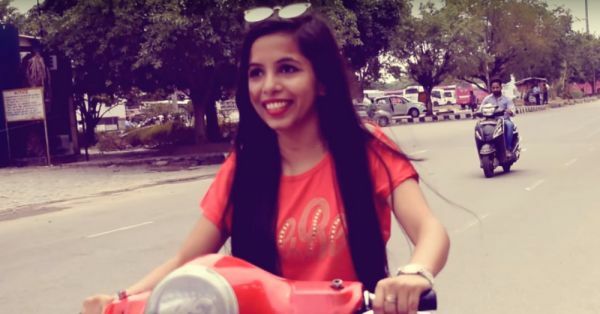 The internet sensation, Dhinchak Pooja has ditched fancy cars this time and is riding a red scooter in the song which she calls ‘Dilon Ka Shooter’. There has been a flood of memes and tweets on her new song and just like everyone else, we too had a few random thoughts while watching ‘Dilon Ka Shooter’. 1. For all those who think they can’t sing, ‘Dilon Ka Shooter’ is definitely an inspiration. 2. It’s the best alarm tone one can ever have. All those who want to get up at 7 a.m. can set ‘Dilon Ka Shooter’ as their alarm tone and they’ll start waking up at 6:30 a.m. instead! 3. Just when we think we are useless, ‘Dilon Ka Shooter’ can make us feel so much better. It’s all about loving yourself and your life. 4. It’s the perfect caller tune one could have. Customer care calls will reduce! 5. Just when we thought only Arijit Singh could make us cry with his songs, Dhinchak Pooja’s new song released and made us cry! 6. We don’t know if the ‘scooter’ is a big time ‘shooter’ but we definitely want to shoot ourselves after listening to ‘Dilon Ka Shooter’. 7. We have never felt more helpless in life than when Dhinchak Pooja disabled comments for her ‘Dilon Ka Shooter’ song! 8. Dhinchak Pooja gets millions of views on her songs and it’s everywhere on iTunes, Saavn- we don’t have them on our playlist… We are wondering if actually are music-lovers? 9. It can be the perfect revenge tool for your ex! 10. Dhinchak Pooja has already earned the annual salary of a corporate employee. Probably we should all quit our jobs and do what she is doing. 11. The new song ‘Dilon Ka Shooter’ is definitely making us want to award ‘Selfie Maine Le Li Aaj’. 12. Probably she is the reason our parents don’t allow us to do whatever we want to. 13. We thought what productive could we do in the same time as we would invest in listening to ‘Dilon Ka Shooter’- we can make Maggi! 14. We were just wondering where is her helmet or the traffic police?! 15. 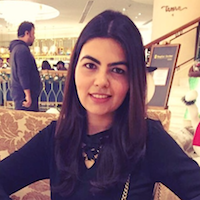 Lastly, after ‘Topi’, ‘Selfie’ and ‘Scooter’, what next does she have in store for us? Well, if you haven’t heard the song yet, here you go. We hope you have a good time.